Truckee’s baseball team will open postseason play against Spring Creek on Thursday, May 10 at 11:30 .m. 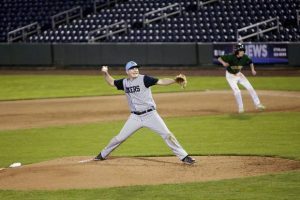 It’s been five years since Truckee’s baseball team has played in a postseason game, but that all changed Thursday morning when the Wolverines faced Spring Creek in Fallon, Nevada, to open the Class 3A Northern League playoffs. For Truckee’s four seniors as well as four-year Coach Jeff Murphy, the first-round matchup against the Spartans represents the culmination of years of work and perseverance. The ability to beat anyone in the league is something the Wolverines have shown throughout the season, having topped each of their league foes at least once during the year. Still there’s a bit of nervous excitement surrounding the team as they prepare to enter the playoffs. “None of us have been there before, so we don’t know exactly what to expect. We’re just all so pumped to be there. 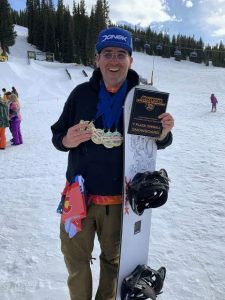 The hard work is paying off,” said Just. Truckee (20-9, 16-8 Northern League) will enter the postseason as the No. 3 seed and will open the six-team, double elimination tournament against No. 6 seed Spring Creek (14-15, 12-12 Northern League) at tournament host site, Churchill County High School. Truckee dropped two of three games at home to Spring Creek last April, but all three contests were decided by two runs or less. Truckee’s senior core said they aren’t worried about the two losses to the Spartans, stating the team wasn’t playing their best ball at that point of the season. 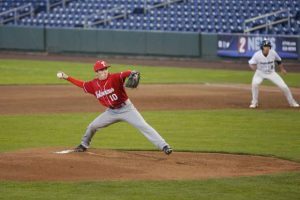 Truckee will come in playing some of their best baseball of the season having ripped off six consecutive wins to close out the year. The Wolverines tallied 10 or more runs in five of those contests. 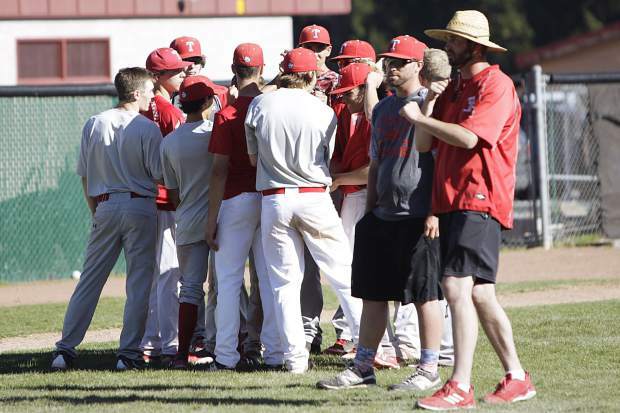 A large part of Truckee’s success this year has come from the team’s improved approach at the plate, largely in part to the addition of Assistant Coach Jason Estabrook, and his sons, senior Joel and sophomore Tyler. The family returned to Truckee this season, and the play of the Estabrook brothers has been key to jumpstarting Truckee’s offense. The steady leadership and clutch play of Truckee’s senior players has resulted in the most wins for the program since 2012. 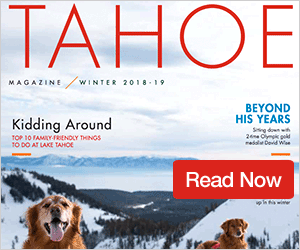 While the team’s seniors have been crucial to Truckee’s success, it’s also been the play of a stellar junior class, as well as sophomore Tyler Estabrook, which has pushed Truckee into the playoffs. Junior Spencer Edmondson leads the Northern League with a .511 batting average through 90 at-bats, and has a team-high 35 RBIs. Tyler Estabrook leads the team with 49 runs and 54 hits. Junior Derek LaFerriere finished the year as the team’s leader in doubles with 11; while Edmondson and Estabrook led Truckee with a combined 13 extra-base hits. Spring Creek has its own power at the plate with the league leader in home runs, senior Thomas Ledford. The Spartans slugger has knocked eight balls out of the park this season. Although Murphy wouldn’t reveal the starter for the playoff opener, at some point senior ace Gary Grosjean will likely take the hill. Grosjean pitched a team-high 49w 1/3 innings and led Truckee with 32 strikeouts. Truckee and Spring Creek will kickoff the Northern League tournament on Thursday at 11:30 a.m. If the Wolverines win they’ll face No. 2 seed Churchill County (17-11-1, 17-7 Northern League) at 4:30 p.m. If Truckee falls they will play the following day in the loser’s bracket.